The anaerobic digestion feedstock, and its reliable supply, is everything to an Anaerobic Digestion Process. The biggest successes come from close attention to the volume, nature, composition and variability in composition, of the available feedstock, or range of feedstocks to be accepted. These must be planned for from the outset when designing an AD Plant. This is where the crop fed biofuel AD plant designer starts with a huge advantage on the rest of the AD developers. There will be seasonal variations from the available crops of course, unless year-round storage can be provided for total feedstock inputs, which may be feasible for silage feedstock use, for example. Sewage sludge AD and agricultural waste fed AD processes are possibly the next in security of feedstock provision. Where anaerobic digestion plants are built to process industrial wastes these are also reasonably secure in the knowledge of the characteristics of their feedstock materials. However, things can get really difficult for AD Plants being built to process primarily food waste from householders within the council collection service. When these plants are built it is at present an act of faith to know to what extend the public will segregate their wastes to send them to the AD Plant. The householders may decide to include these materials in the “black bag” mixed waste stream. Alternatively, the householders may even send these materials for composting, in the green/garden waste recycling bin. Results differ widely for each feedstock. This table is a guide to typical values only. Analyse your own feed stock. Do not rely on the values in this table. Furthermore, how does the designer predict what proportion of high calorific value/high methane generating food waste will arrive within the material collected for Anaerobic Digestion? In time maybe it will be possible to predict but this is a doubtful art at present. If the AD designer gets it wrong the result will be that methane production rates may be at a lower or higher rate than predicted. If the volume sent to the AD plant is low can negatively affect economic viability. The solution for AD Plants which do not have the ability to directly control their own incoming feedstock quality, is to diversify. Operators should diversify, if possible to a variety of feedstocks available in season. Feedstock choice is also then likely to vary over time, with the operator choosing to accept different feedstocks at economic prices. Prices will vary as market forces act on their market. 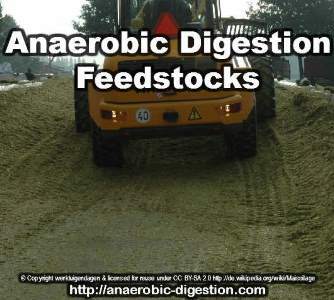 At Anaerobic-Digestion.com we are often asked whether a particular organic waste is suitable feedstock for AD treatment. So, we thought that we would devote a web page to providing a list of some of those we perceive to be the most common. Add a comment with your additions, if you have more to add, and this list will grow. Another question posed is what is the biogas yield which can be expected from agricultural wastes, and this is answered in the table above. * – When considering acceptance of some wastes, early thought should be given to the effects on the plant of Animal By-Products Regulations compliance, and necessary provision for handling and processing ABPR waste. ABPR applies to the EU states, but equivalent regulations should also be in force elsewhere. This is to avoid cross contamination health risks (eg Foot and Mouth disease). – Waste from slaughterhouses. Subject to regulatory requirements in-force: All category III types and category II types that have been sterilised at 133 degrees Celcius for 20 minutes. * Categories indicate requirements for prevention of the spread of disease. The requirements vary. Check these requirements with your local regulatory authority before use as anaerobic digestion feedstock. Awesome website. If you remember I spoke to you recently at NEC Birmingham. Keep on doing this. Article is not good. All food waste that it still edible should go to food banks. It is wrong to suggest food waste should go to a digester, except when it is mouldy. James Riddley – Yes. We agree. We support the “Waste Hierarchy” which is also supported by the UK government, which requires that if possible all waste is first of all avoided, but if waste can’t be avoided it should next be re-used (i.e. for food waste it should sent to a food bank). If it is unsuitable to be sent to a food-bank it should be recycled, so for food waste that means that only then should the food waste be sent to an anaerobic digestion plant. We do not intend to encourage waste to be sent straight to a food waste digestion plant, which is still edible. We apologise if that was your interpretation of this page. Confer with your experienced biogas expert when adding new feed which will change substrate conditions. Know about about issues and risks. Be sure to comprehend every point made. This is the way to avoid problems with digester yields drop after new material in substrate, and trying to keep the biogas production manageable. Take note taht BV Dairy are reducing their carbon footprint (volume of carbon dioxide and other greenhouse gases emitted in manufacturing and distribution operations). Emissions can be reduced by cutting fossil fuel consumption or generating renewable energy. They are doing both – generating heat and electricity. We think our work is an additional biomass feedstock which is not listed on this page. Please consider adding Algae to the list! Find out more at the Algal Biofuels pdf here. Can you update me on SeaGas. Last year they were working on producing biomethane from seaweed through anaerobic digestion (AD). The project launched in July 2015 so we are surprised you don’t mention about this project which consists of six partners including The Crown Estate, the Centre for Environment, Fisheries and Aquaculture Science, the Scottish Association for Marine Science, Queen’s University Belfast and Newcastle University. Is it the project working? and am interested in feed glycerine into my plant which you note as a feed stock. Kevin Maguire – I understand that glycerine or glycerol are used to increase the biogas production of anaerobic digesters. It provides an easily digested food source. In the list above, waste airport-runway de-icing fluid is said to be a possible source. In addition, it is a by-product of bio-diesel production. I believe that 5 to 10 years ago there was an over-supply of it in the UK, from bio-diesel production. At that time it was a low cost material and paying for the transport was the biggest cost, but I imagine that with more AD plants today, there is more demand and that the cost will now be higher. I just did some online research which led me to think that the fuel company Greenergy, might be a possible glycerine supplier. 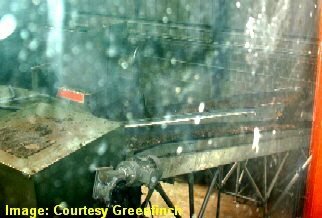 To quote from the Greenergy website: Greenergy “manufactures its own biodiesel from wastes in order to meet its biodiesel blending obligations. The company sources waste oils and fats globally and operates two biodiesel manufacturing facilities in the UK.“. I imagine that if there was a biodiesel manufacturing facility near an AD plant, that would be the best source for glycerine for that site. It would be interesting to have feedback, from you. It would be good to know whether this information is correct, should you decide to follow this up.